5. Adaptability and flexibility will be the core survival traits going forward. 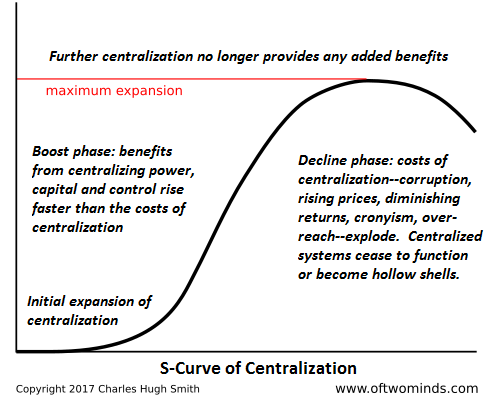 The only structures adaptable and flexible enough to respond quickly and effectively enough to survive are decentralized networks — non-hierarchical, distributed rather than centralized, self-organizing rather than top-down. You can read more from Charles Hugh Smith at his site Of Two Minds, where this article first appeared. Be the first to comment on "Which Nations Will Crumble and Which Few Will Prosper in the Next 25 Years?"